The company "Gardens of Karachay-Cherkessia" laid the intensive pear orchard area of 20 hectares, according to "Krestyanskie Vedomosti"
"The garden will be created in several stages, the first crop will be harvested next year. When at full capacity, the pear production will reach 1.5 million tons", - stated in the material. Planting of new fruit trees is implemented by the company in the framework of the project on the revival of the orchards. By the end of 2017 was laid about 130 ha of Apple orchards, in General, fruit trees will be planted on 203 ha. Furthermore, "Gardens of Karachay-Cherkessia" intend to build a fruit storage. The total investment was previously estimated in 800 million rubles According to the regional government, the Republic already planted 200 hectares of fruit trees, to the end of the year the gardens will be increased by another 100 hectares. In the past year, according to the Federal customs service, Russia imported 260 tons of pears at $182 million Main supplier with a share of 38% in monetary terms was Argentina, followed by China (17%). 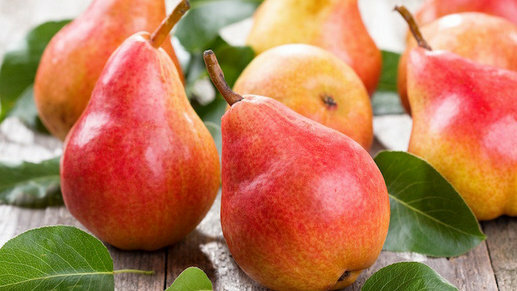 According to the USDA, Russia is the world's largest importer of pears. The volume of domestic consumption in season 2017/18 Agency estimated at the level of 385 thousand tons.